A classic! If you're unfamiliar with Mercenaries, Spies, & Private Eyes, you're in for a real treat! Written by Michael Stackpole back in the early eighties, MSPE is a complete roleplaying game that was constructed using Tunnels & Trolls as the underlying framework. 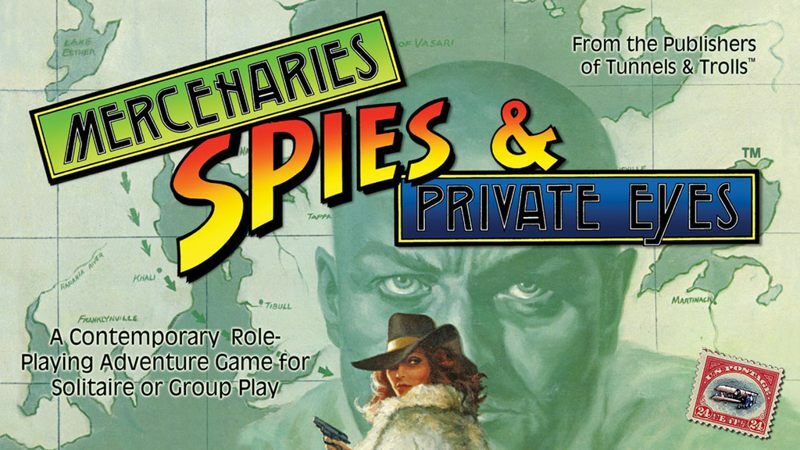 The game, right up there with TSR's Top Secret when it comes*to the category of "fun spy RPGs of the eighties," was first published by Flying Buffalo and later by Sleuth Publications, but it never seemed to achieve more than a cult status when it came to overall sales and popularity. That had nothing to do with the quality of the work – Stackpole, as you should know, is a master – but the glut of RPGs at the time, combined with the challenges in reaching a new audience, limited the game's overreach. Explore Florence during an era of explosive intellectual and creative advancements with GURPS Hot Spots: Renaissance Florence. And if you are a person of great skill and discretion, consider aiding the reigning Medici as one of the amici degli amici ("friends of friends"). Learn what you need to become part of an informal network of spies in Renaissance Florence with Pyramid #3/10: Crime and Grime. Discover these secrets with a discreet download from*Warehouse 23 today.